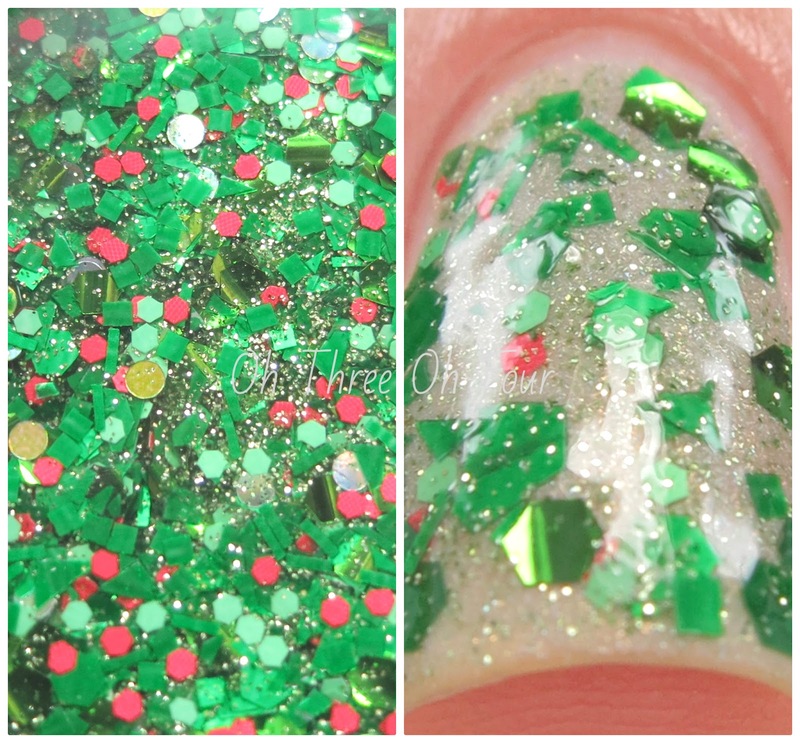 Grinchie Gobbler contains dark green holographic micro-glitter and an assortment of "veggie" glitters. Shown is 3 coats with top coat. 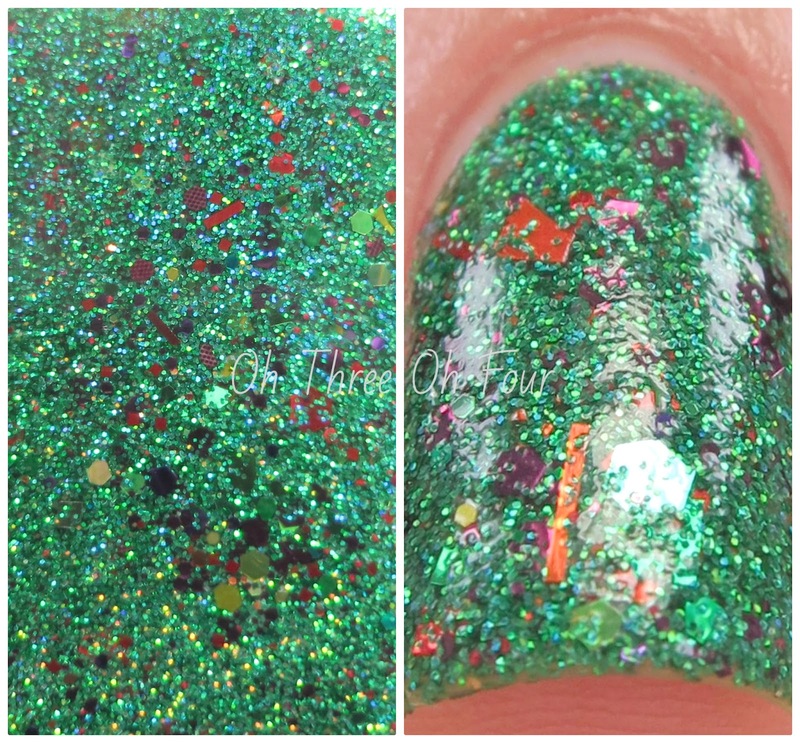 Love the Mother Love is a symphony of spring green glitters accented with white, pink, aqua and black in a translucent light green pink- and green-shimmered base. 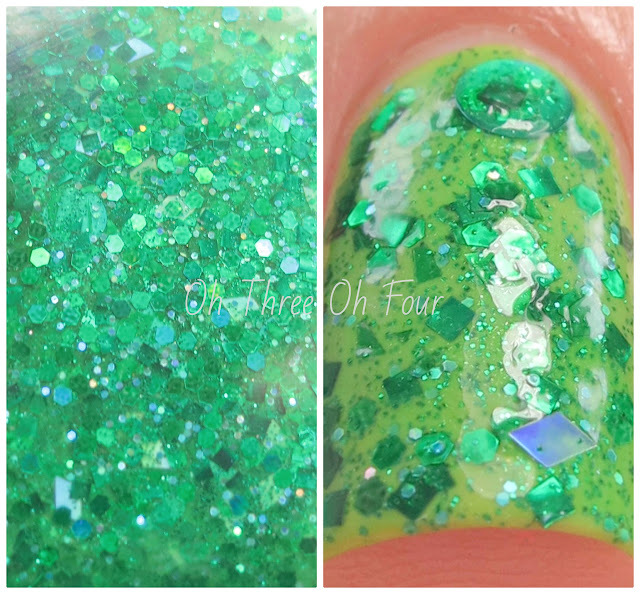 Here is 2 coats over 3 coats of Wet n Wild Frank is Mine. Niçoise has a clear, gold-shimmery base with shredded mesclun, hard boiled egg, black olive, haricot vert, tomato, sweet pepper, potato, red onion and holographic anchovy glitters. All nails are 2 coats of Niçoise over 2 coats of Revlon Lime Basil (FYI this Revlon is a huge stainer! D: ). 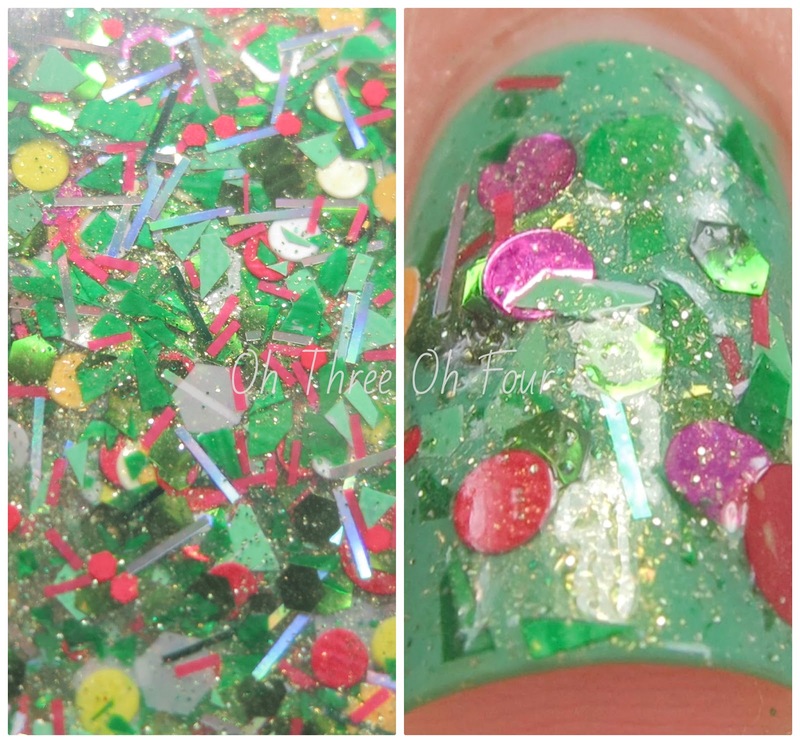 Popeye and Olive has matte and metallic moss green glitters accented with pimento red hexagons in a clear base with an overlay of pale olive micro glitter. Shown is 2 coats over 2 coats of Glitter Gal Lights as a Feather. The Mindful Heart is made with assorted green glitters (holographic, matte, satin) in a clear base. 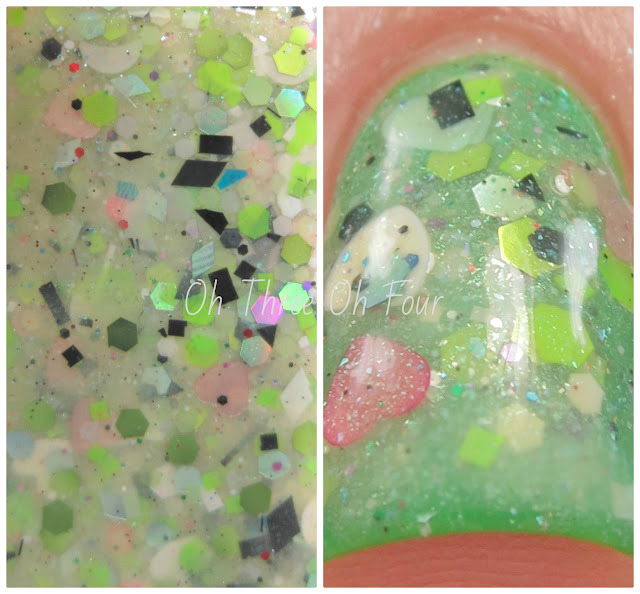 All nails are 2 coats over 2 coats of Color Mates Tokyo Magic. 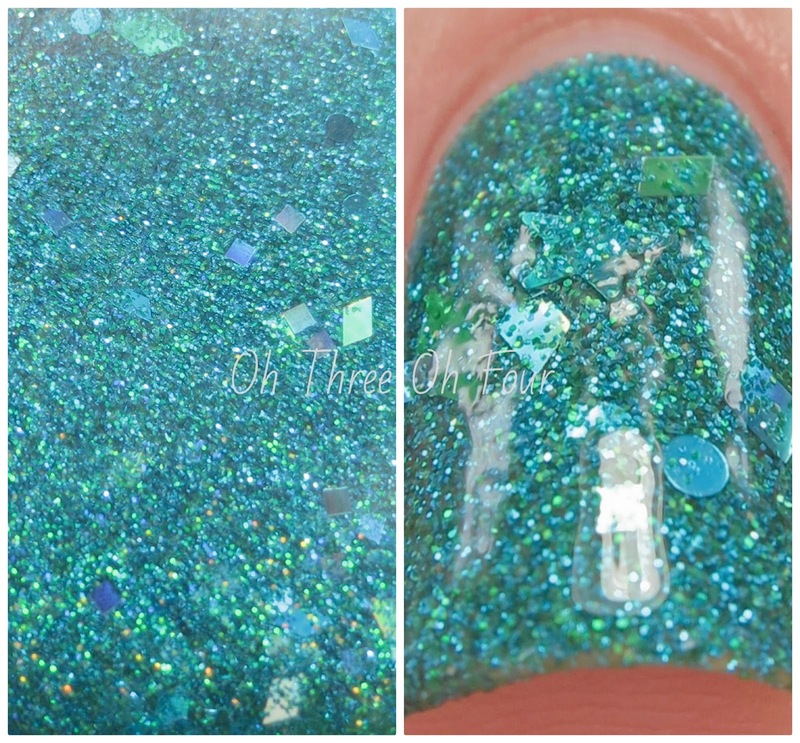 Purchase Lynnderella Lacquers through Lynnderella.com and internationally through Norway Nails and Glitter Connect. Be sure to follow all the Lynnderella fan pages on Facebook, Twitter, Instagram, Pinterest and Tumblr! And make sure to check out Wishes of a Blue-Eyed Girl's Depression Awareness Fundraising Giveaway!